Tickets are now on sale for our annual Children's Christmas Eve Party at Higham Village Club. 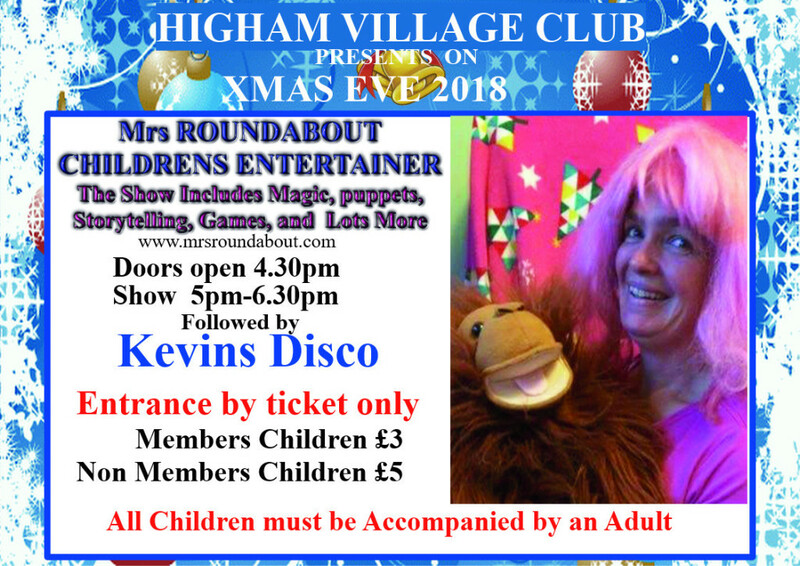 Doors will open at 16.30 and the children will be entertained from 17.00 - 18.30 by Mrs Roundabout followed by Kevin's Disco, to get us all ready for the big day. We will have also a face painter and candy floss sales. Ticket numbers are limited and will be open to both members and non-members. Prices are £3 for members children and £5 for non-members children.